Australians in the north east of the country are bracing for a severe tropical cyclone, with authorities warning of flash flooding and destructive winds. Cyclone Owen has been strengthening off the north coast of Queensland state, in warm waters in the Gulf of Carpentaria, and is expected to reach category four - defined as a severe tropical cyclone with very destructive winds - when it makes landfall early Saturday morning (Dec 15). 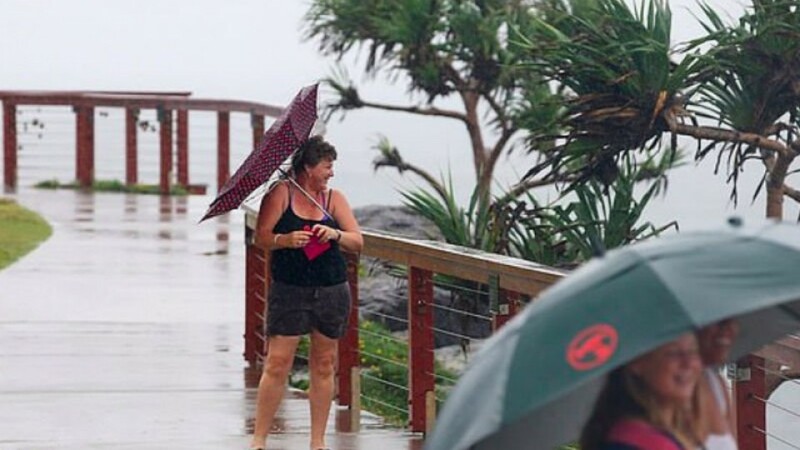 "With landfall there will be significant storm tide for locations along the coast," Richard Wardle from the Queensland state Bureau of Meteorology said Friday. "There will also be heavy rainfall that could lead to flash flooding. There will be very destructive winds and abnormally high tides on the east coast of Queensland, once the system makes it to that side," he added. Winds up to 200 kilometres (124 miles) per hour are expected as the cyclone reaches land near the border of the Northern Territory and Queensland, before making its way down the east coast. Emergency services have sent dozens of extra personnel to towns in the path of the cyclone. "Tonight, bed down and stay safe, take your medication with you, a torch and make sure you have a really good idea of a place of safety," State disaster coordinator Bob Gee said. "We are ready to press the button if there is a damage or need for help as soon as we possibly can." Australia is no stranger to extreme weather, experiencing flash floods, sandstorms and even extreme drought in some areas. Queensland is still recovering from bushfires last month that burned across the state amid an unprecedented heatwave, while Cyclone Nora tracked a similar path to that of Cyclone Owen in March, bringing heavy rain and flooding. In 2017 Cyclone Debbie pummelled Queensland after crashing ashore as a category four storm, ripping up trees, washing boats onto land and causing widespread damage along one of Australia's most prominent tourist regions.